Brilliant design and prefab treehouse construction have combined to create the Tree Hotel, a series of guest rooms suspended in the canopy of the lush Boreal forest in Northern Sweden. 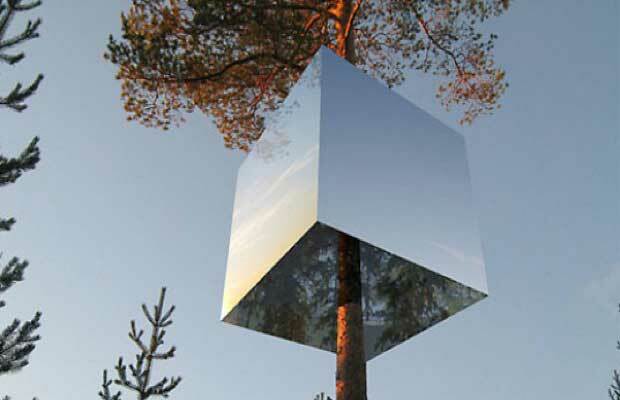 There are currently four rooms, each a separate building high in the trees: the Cabin, the Bird’s Nest, the Blue Cone and the Mirrorcube, pictured here. Within five years, the hotel will have a total of 24 rooms completed offsite by 24 different architects.